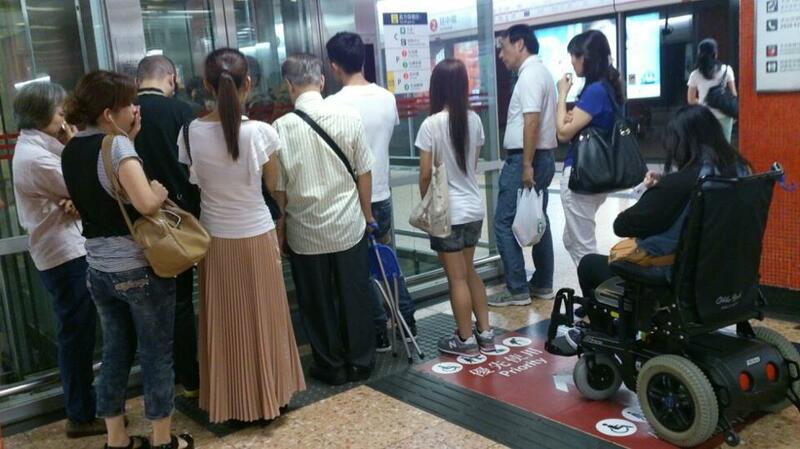 This is somewhat a typical scene in Hong Kong, perfectly normal people opting for taking the lift instead walking a few steps to the escalators, which is fine, but don’t you think you should let the person in the wheelchair in FIRST? Hong Kongers are becoming really selfish, self-centered and rude.. Hypocrites that complain about the Mainlanders.. to me these people are just the same! photo by カツキ ヽ‘s photo.